Ever wondered what Electronic-Dubstep-80s pop-Classical-Folk-Rock-Experimental-Orchestral-20s ballroom songs would sound like? Well…here are the Moulettes! Kate Young – Violin, vocals. Combining so many elements can really be a dangerous mix that either works well or just clashes together in a terrible fashion. But, the Moulettes have made this strangely work. Even though Constellations is a diverse effort of many cultures and genres, Every song has a purpose and worth as every track will either be a folk-rock classical or a more upbeat driven electronic groove. Either way I’m still wrapping my head around it all! Having so many vocalists as well only brings up the dynamicness [coining that term] of how the Moulettes accomplish their creativity. Songs like Glorious Year and Between the Mirrors touch more on the pop side of things and bring in unique vocals, properly placed instrumentation with the electronics and drives home the point that they can pretty much create what they want. Speaking of Glorious Year, What’s noticeable to me is the touch of Bollywood style vocals with matching instruments and elements of folk that just seem to fit in greatly. Whether the song is about love or making a year truly “glorious” is up in the air for me. I welcome this and challenge accepted Moulettes. The Night Is Yours is more of a classical based ballad with a touch of 40s style vocals which add a nice soulful touch to the mix. Whether co or lead vocals Heather really brings out the beauty of the piano and various keyboard implements. So it Goes – Where do I start? The cellos are so wonderfully heard in the intro and then we are presented with a bass and pop vox breakdown that is just so enjoyable on the ears and ushers in the eventual drum patterns creating the chorus under the lovely harmonic vocals. Well done I say. It’s understandable this band would make many top 10 lists as they pretty much cover all bases and ensure there is a song or two you’ll find infecting your playlist and thus end up having them on repeat until someone suggests quiet time. My opinion is that no matter what is on the album you get a sense of euphoric musical bliss in Constellations. Land of the Midnight Sun is a standout track for me as it brings more of the haunting style folk music is associated with nowadays with solo vocals and underlying bass with a key loop and chorus effect. Then a unending list of other elements are touched upon but still keeping it in the folk range of things. Truly an impressive feat. Certainly one I couldn’t imagine possible. While the 3 remaining tracks have all of the mentioned above elements. My words simply can’t convey the idea’s the Moulettes have created nor do I dare to interpret the uniqueness or take apart all the beautifully fit puzzle pieces to Constellations. For me it was a weird listen at first. My sense of adventure eased me into each song and left me feeling satisfied. This is a unique band that comes through rarely. 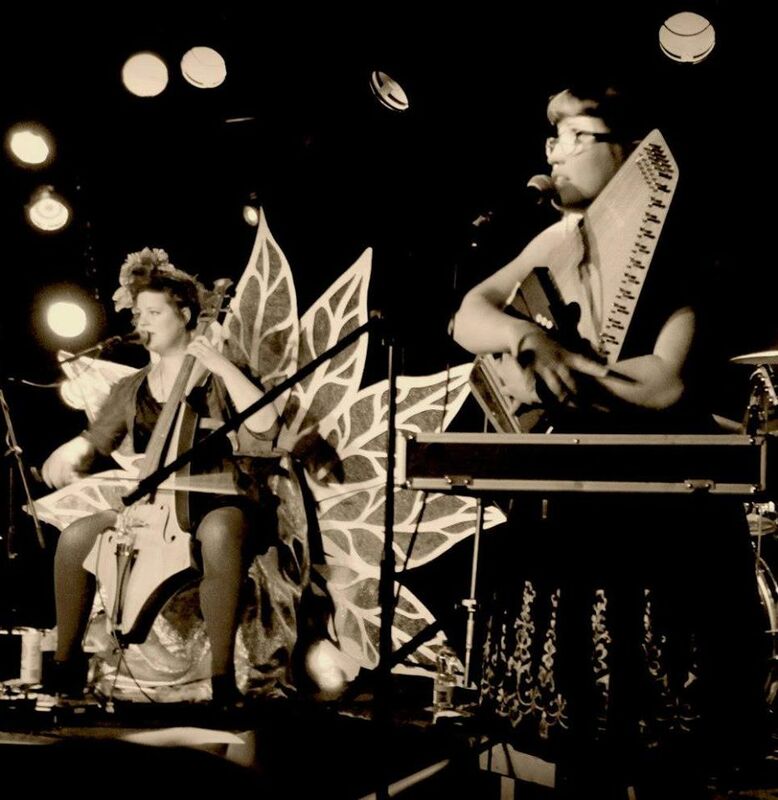 Thankfully the Moulettes have decided to tour and share their music with live audiences wherever they can. 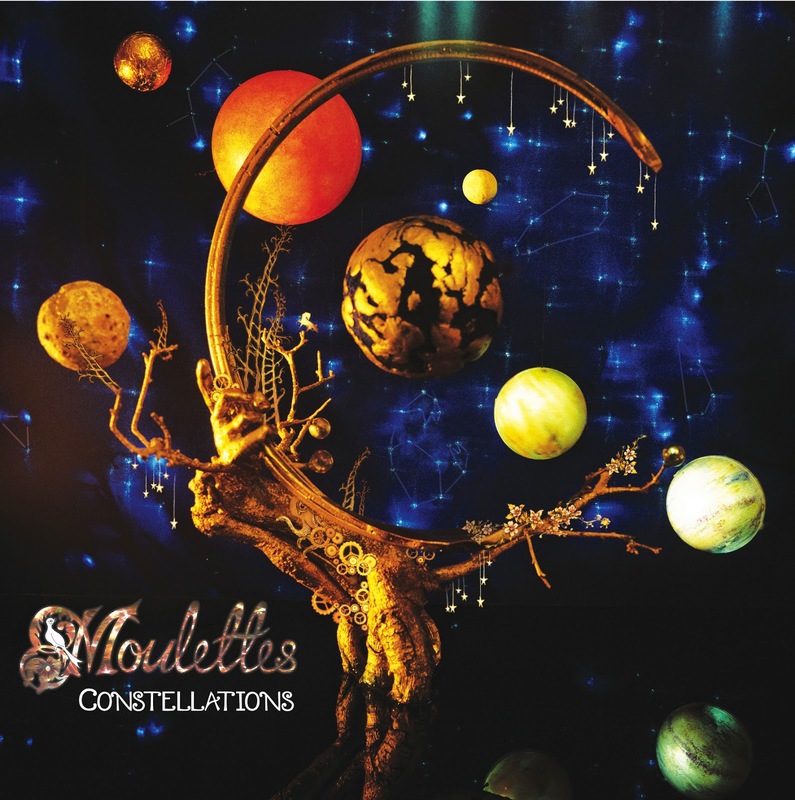 At the end of it call Moulettes – Constellations has my star of approval and enjoyment. As always you make the choice yourself as to whether this is music you like or dislike. I think you’ll be hard pressed on this one though if you were to try and find a song you didn’t like on this 10 track avant-garde style album. Personal Favorite Tracks: The Observatory, Glorious Year, The Night Is Yours, Between the Mirrors. 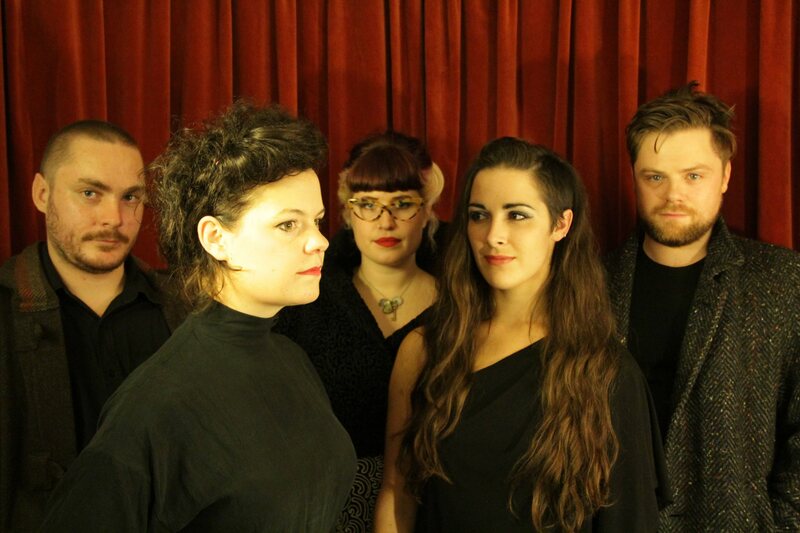 Album, Constellations, Contrast, Control, Experimental, Folk, James, Moulettes, Pop, Review, Rock, West. Bookmark.